You live or work in Amsterdam Noord? Are you dealing with a broken lock or a lock that needs to be replaced? Gets you do not open your door? You are guaranteed to quickly fix your lock off when you turn Locksmith Amsterdam North. You will see us arrive within 30 minutes at your home or business. 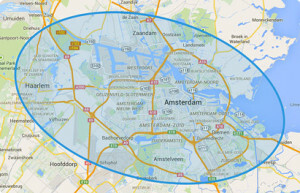 You benefit by Locksmith North Amsterdam 100% damage free open your door. We specialize in the repair, replacement and installation of all types of locks.